The Danish Ministry of Culture announced last week (8 May) that it’s organising a campaign to target pirated content on the internet, partnering on a voluntary basis with internet service providers and tech companies, including Google and Microsoft. The “Code of Conduct to promote lawful behaviour on the internet” names among its five goals the promotion of legal material and reducing “financial crime” connected to copyright infringement. Companies that agree to it would restrict their financial support of copyright infringement, “either by supporting criminal services with money in the form of, for example, exposure, ad revenue or payment services or otherwise to ‘legitimise’ criminal services”. Google has previously used what’s known as a “follow the money” approach to keep its ads off websites that offer content with infringed copyright. Denmark’s push to have companies voluntarily act against piracy could be testing grounds for broader anti-piracy actions on the European level. In the European Commission’s Digital Single Market plans that were presented last week (6 May), the “follow the money” approach is packaged as a way to target piracy without penalising users who may not be aware they’re accessing illegal content. The “non-legislative actions” described in the plan pave the way towards the approach by preventing commercial scale pirates from making money. For now, the agreement brokered by the Danish Ministry of Culture is a statement of intent and doesn’t mention specific actions that companies would take against copyright infringement. Microsoft confirmed that it is contributing to talks throughout this year on internet advertising and piracy. Microsoft runs the search engine Bing and the website msn.com. Anders Thomsen, Microsoft’s director of government affairs for Denmark, said of the company’s involvement in the agreement, “We know what it’s like to have violation of your copyright. This is about how we can prevent criminals from making money off of that”. Other companies that signed onto the Danish agreement include Koda, a Danish collecting society for the music industry, and Mastercard, which would likely play a role in financial restrictions on pirated material. Internet service providers are represented by the industry group Tele Industrien. Jakob Willer, Tele Industrien’s director, said the group wanted to cooperate on the condition that its role is “legally very clear”. “We are not policemen on the internet but we still want to cooperate on what is legally possible. We do not want to block access to homepages unless there is a court ruling. It’s not our job,” he said. Google generally prefers self-regulatory measures to legislation that might make the company liable for pirated content. Google declined to comment on the record. In its position paper on the Digital Single Market plans, the European Telecommunications Network Operators’ Association (ETNO) was also critical of liability for internet service providers, calling instead for common copyright laws across Europe. Danish Minister of Culture Marianne Jelved said partners in the agreement are “some of the country’s most important players”. According to the ministry’s announcement, “The companies and organisations that are party to this code, want to ensure that their companies and brands are not associated with economic crime that is based on copyright infringement”. German Pirate Party MEP Julia Reda told EURACTIV that voluntary agreements for companies to fight piracy risk “transferring the evaluation of what constitutes a copyright infringement from the courts to private companies” and “we need the same copyright exceptions throughout Europe and a guarantee that they cannot be overruled by voluntary industry initiatives such as this one”. NGO European Digital Rights (EDRi) executive director Joe McNamee criticised the Danish agreement and said “arbitrary policing by foreign companies” would impact Danish companies and competition. 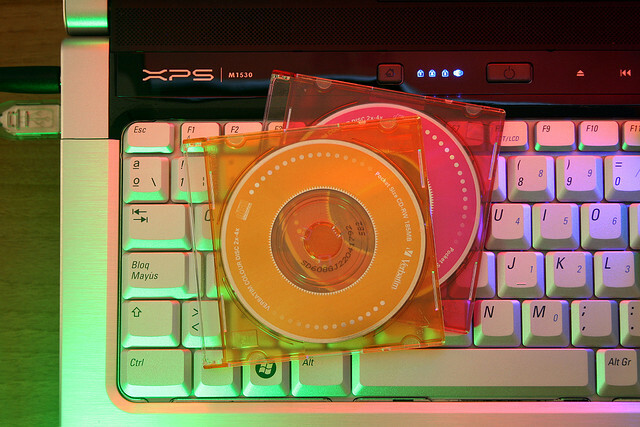 Voluntary agreements aimed at tackling piracy predate last week’s Digital Single Market announcements: An opinion from the European Parliament Committee on Culture and Education in March also applauded the ‘follow the money’ approach. The European Commission wants to address "commercial-scale" copyright infringement in 2016.